These have been graciously uploaded, are amazingly useful but please remember might not be your perfect size. There are lots of normal patterns but they not adjusted for latex; all you have to do is minus 10% from all horizontal measurements. (If a measurement is not vertical then it is horizontal). It is time consuming and unfortunately not easy! 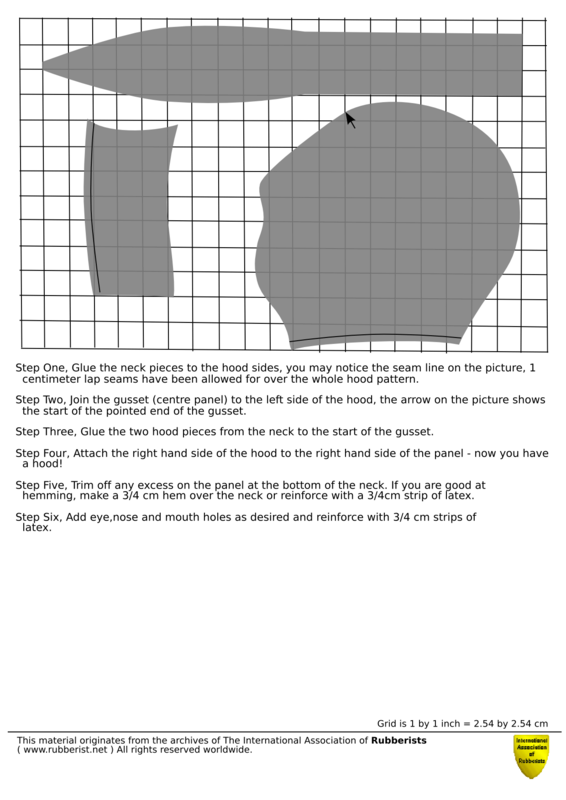 It is not so difficult to actually make your own pattern. That also means that the pattern will fit you perfectly. ‘Reverse Engineering’ ~ using you clothes to make a pattern. ‘Flat Pattern’ ~ what I call simply to measure yourself and then mark your measurements on the paper. ‘Pattern cutting’ ~ following simply instructions from a book. It is straight forward and anyone can follow these instructions. A very well used book, with most pattern cutters, to make perfect patterns, starting with the ‘bodice block’ is ‘metric pattern cutting for women’s wear’ (ISBN 978-1-4051-7567-8). All you have to do is minus 10% from the horizontal and only use 2cm (not 5cm as the book says) as the initial bust ease! It’s ease when you read the book.